On this page, you will find everything there is to know about Software updates for Pokkén Tournament DX on Nintendo Switch (originally released on September 22nd 2017 in Europe, North America, and Japan). How to download Software updates for Pokkén Tournament DX on the Nintendo Switch? To check that you have the latest version installed, press either + or – to go to the Options page. The version number is displayed right under the game’s title. Alternatively, you can launch the game: the version number is displayed in the top left corner of the screen. Lucario Grab Attack (Field Phase) Fixed the issue causing a shortened stun duration when hitting Croagunk or Blastoise with a grab attack. Suicune Burst Attack Fixed the issue causing the game to transition into a cutscene after K.O.ing your opponent. Suicune Counter Attack ～ Follow-up Fixed the issue causing players to be unable to make follow-ups after a successful counter attack. Suicune Midair Weak Attacks Fixed the issue causing Suicune to perform a grab attack immediately after hitting with a midair weak attack. Gardevoir Grab Attack (Field Phase) Fixed the issue causing a shortened stun duration when hitting Croagunk or Blastoise with a grab attack. Weavile Weak Attack ～ Strong Attack Follow-up (Synergy Burst Active) Made the attack behavior align with the behavior when Synergy Burst is not active. Stance Strong Attack: Additional Attack We’ve made the inputs for additional attacks easier. In addition, if the inputs are completed with good timing, you will receive a power up. Pikachu Libre Jumping Ranged Attack We have extended the reach of the second attack. Pikachu Libre Wild Charge (Enhanced) Fixed the issue causing low attacks to be blocked until the enhancement wears off. We also fixed the issue causing the midair timing to be slower than the regular version of Wild Charge. Septile Leaf Blade (Duel Phase) Increased the stun duration for critical hits. Septile Leaf Storm Fixed the issue causing players to be unable to perform a recovery after being struck in midair under certain conditions. Shadow Mewtwo Strong Attack Increased the stun duration for critical hits. Shadow Mewtwo Low Stance Strong Attack Increased attack duration. Shadow Mewtwo Grab Attack (Duel Phase) We changed it so that the thunder would fade when a grab attack is performed at close range. Darkrai Nightmare Fixed the issue causing Darkrai to double-jump even when not under the positive status “Additional Jumps”. Croagunk Poison Jab Fixed the issue keeping status effects from taking effect on a hit. Croagunk Thief Fixed the issue keeping Croagunk from stealing Synergy Gauge or positive statuses from his opponent on a hit. Croagunk Gunk Shot (Large Rock, Duel Phase) Fixed the issue causing Croagunk to move in the opposite direction when he attacks with a large rock. Empoleon Backward Strong Attack Increased basic damage. Decidueye Change Backward Weak Attack Increased attack duration. Decidueye Stance Strong Attack We made changes to the trajectory of far attacks. Decidueye Fix Acrobatics Fixed the issue causing Decidueye to turn around after activating Acrobatics. Mega Rayquaza Dragon Ascent Fixed the issue causing the number of hits to change depending on which character is summoned. Additional notes: update announced on September 21st 2018. Additional notes: this update offers various game balance fixes. Additional notes: the list of games compatible with the Video Capture feature can be found on this page. All Battle Pokémon System Fixed an issue that caused Support Pokémon to be called and Synergy Burst to be activated simultaneously when players press L and R while being hit with an attack that does not cause hit stun. All Battle Pokémon Double Jump Fixed an issue where players couldn’t double jump diagonally after certain actions in Field Phase. Fixed an issue where players couldn’t double jump while affected by a positive status increasing their number of jumps. Lucario Forward Weak Attack Fixed an issue that allowed Lucario to move during a Burst Attack’s animation when hit by a Burst Attack with specific timing. Machamp Burst Attack Fixed an issue that allowed opponents to move during its Burst Attack’s animation. Suicine Aurora Beam Fixed an issue where an Aurora Beam to the left or right couldn’t be used from a canceled Ranged Attack. Gengar Permeate Fixed an issue that allowed players to use Permeate again after using Permeate, double jumping, and then using a Jumping Ranged Attack. Chandelure Overheat Fixed an issue where Chandelure did not turn black when affected by a negative status when its action was interrupted by an opponent’s attack. Chandelure Forward Strong Attack (Synergy Burst active) Fixed an issue that caused its stats to change after using Burst Attack. Garchomp Dragon Claw (Field Phase) Fixed an issue where players couldn’t transition to Running Stance when canceling a Ranged Attack into this move. Empoleon Grab attack (Duel Phase) Fixed an issue where some attacks would combo after a Phase Shift. Scizor Metal Claw Fixed an issue where some attacks would combo after a Phase Shift. Scizor Bug Bite to dash step Fixed an issue where Duel Phase moves could be used after a Phase Shift. Decidueye Razor Leaf to Soaring Stance to dash step Fixed an issue where players could double jump even if they were not affected by a positive status increasing Decidueye’s number of jumps. Decidueye Soaring Stance Fixed an issue where players temporarily lost control of the Pokémon after it was hit by an attack with specific timing. Decidueye Soaring Stance to Strong Attack Fixed an issue where when only the first hit connected, opponents were unable to move even after the hit stun had finished. Online Team Battles – Team Battles will be available to play with friends online. Pick three Pokémon each and head into battle to enjoy heated fights with other players. Official Groups in Group Match – Official groups from Pokkén Tournament DX will be open in the Group Match online battle mode. Coming soon after the update, there will be official Group Matches where players can battle to receive new special titles. Record Pokémon Movements – In Practice Mode’s Free Training, a new function to record Pokémon movements in battle will be added. You’ll be able to control the opposing Pokémon and record its movements so you can play them back when you’re training to help improve your skills. Enhanced Experience – Several other adjustments are in development which will help to improve gameplay. 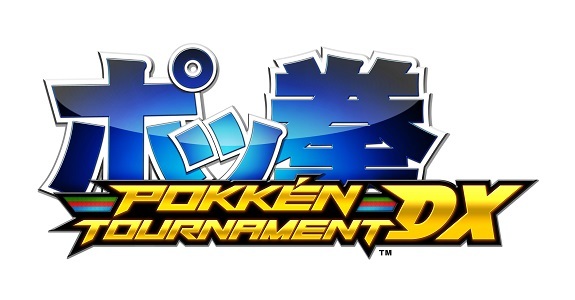 Additional notes: this is the Day 1 update for Pokkén Tournament DX. We don’t quite know what it does yet (other than provide the usual last minute polish and bug fixing), but it’s required in order to use the online features of the game.